This college was placed on lockdown at 3:56 p.m. Monday because of a shooting on Howard Street and Courtland Place. Witnesses reported three to four shots fired at about 3:00 p.m., SAPD has not yet confirmed the actual number of shots fired. SAPD Police Chief William McManus said an officer heard three shots at the intersection. Witnesses reported seeing a victim with a neck wound running toward Fletcher Administration Center. Neither the suspect or victim have been located. A small drop of blood was found on the sidewalk between Fletcher and Dewey Place, reportedly where the victim was last seen by witnesses. Officers began searching for the victim in Loftin Student Center at 3:45 p.m. and moved on to Moody Learning Center. 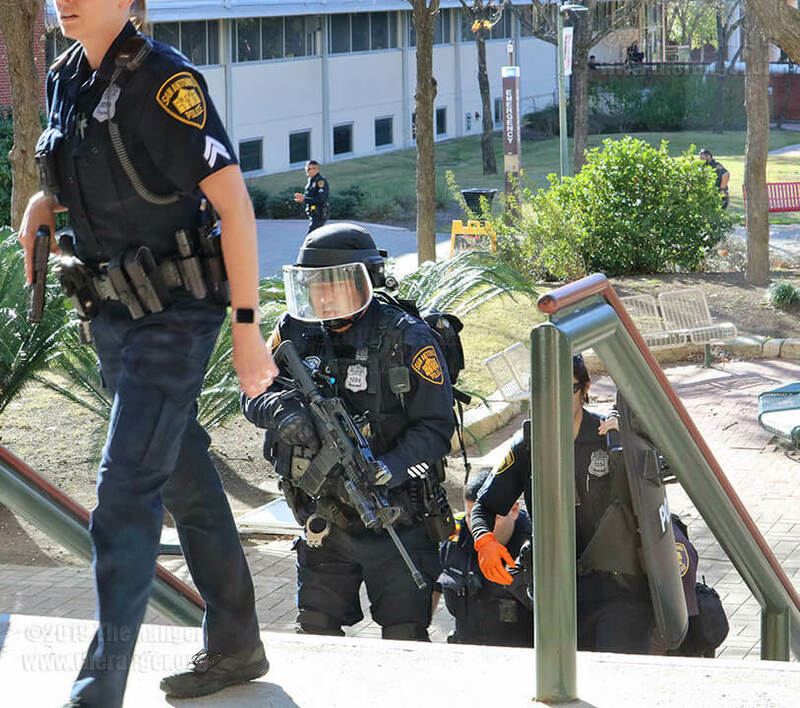 Speculation ensued among some faculty and students about more shots fired near Loftin Student Center when officers began searching for the victim, but Joe Pabon, Alamo Colleges Deputy Chief of Police, said this is not true. Students near Loftin Student Center reported hearing loud bangs. This campus’ lockdown was lifted at 4:36 p.m.
A video of the evacuation of Moody can be viewed here.